While Wanda is entirely playable in her current form, I still consider her a Work In Progress due to more features to come. The texture art has been completed, anim seems to be working correctly now, I wanted to release it as a beta to start public playtesting. Next we need custom sound (currently it's just the violin from the unimplemented character, Wallace). Speech script is half done but not yet uploaded (this beta is still Wilson), however everything below has been coded. There are more features to come in the Further Development section. So, while it is not yet complete, please give as much constructive feedback on balancing, etc. Wanda the Druidess - "Nature is my Frenemy"
Cursed by Porvata, Polish god of the Woods, for carving her name into a sacred tree. Wanda has a love-hate relationship with nature. Still working on the speech script, it's about halfway done. Just uploaded a new version to disable the inspecting of lureplant inventories (was causing crashes for some), fix Russian compatibility, and also make sure Wanda can eat cooked eggs as well as raw. * When #Shenaniganism is high enough, JUST ONE poison birch tree or treeguard will be queued to spawn (depending on which biome the player is in at the time / about to pass through). AT WHICH TIME SHENANIGANISM SHOULD RESET. Unfortunately this is the bit that the code currently needs work on, as you might end up with a whole forest of treeguards chasing you at once. The widget also needs a bit of work. Unique uses for glowberries (wormlight) and Lightbulbs? Also use foliage to craft garlands (flowerhat), or fernhat with alternate art? WILMA THE MILKMAID - NEW CHARACTER IDEA. 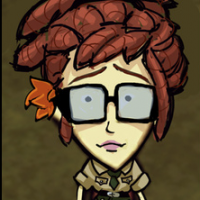 What do you guys think of this idea for new character that spawns with an Insulated Bag (icepack) and 4 Goatsmilk (good for icecream!). She has the Crockpot and Icebox recipes from the start, as well as a custom recipe to turn live Butterflies and Milk into Butter, which of course can be used in the crockpot to make Waffles (most healthful food - even more so than Fishsticks, Flower Salad, Dragonpie and Pierogi). 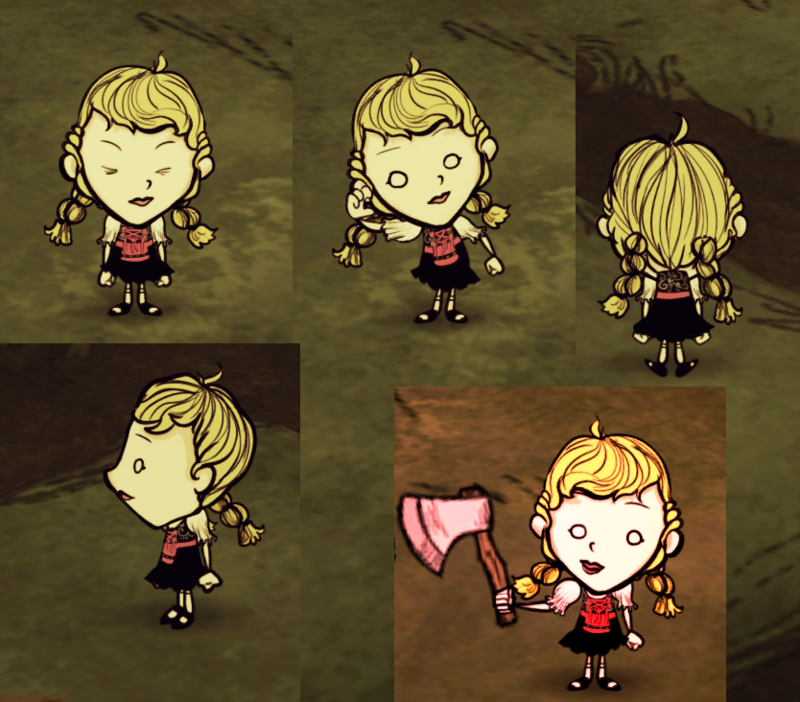 I want to figure out how to give her similar abilities as the Beefalo Milk and Cheese mod, http://steamcommunity.com/sharedfiles/filedetails/?id=436654027 , but only with goats (makes it a bit less OP, since they're usually restricted to the desert). Milk is also great for making Icecream, which helps during Summer / when crazy.